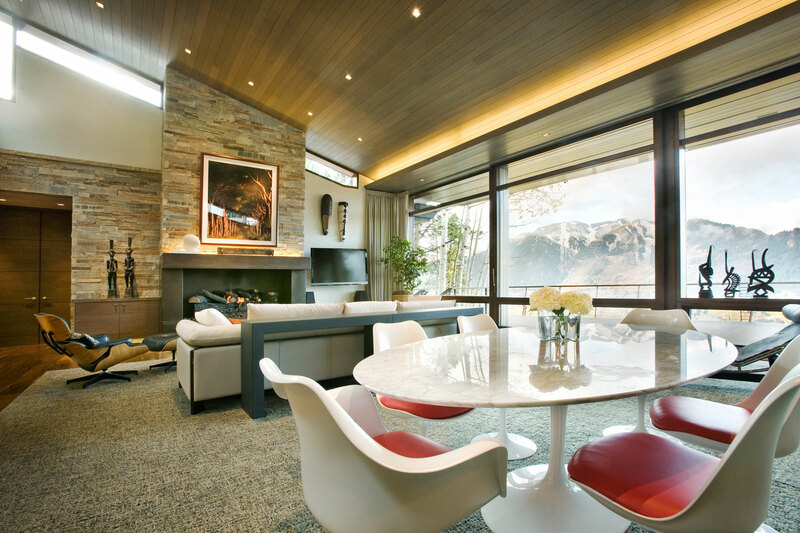 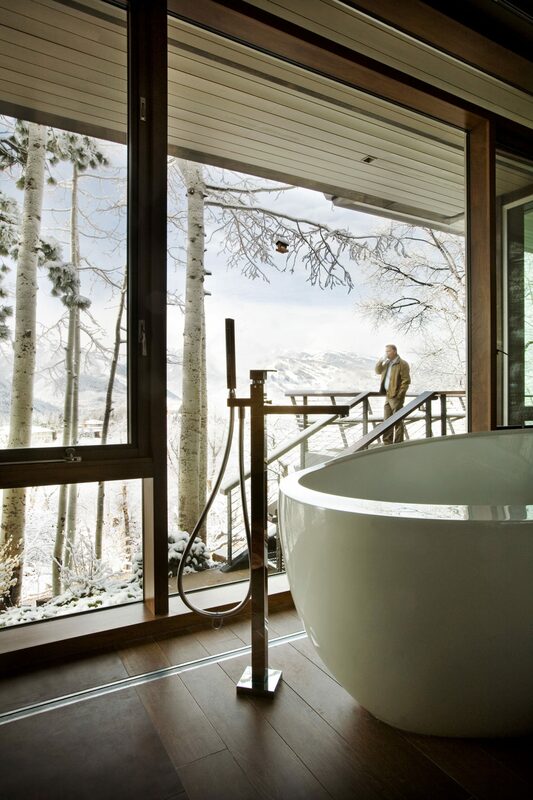 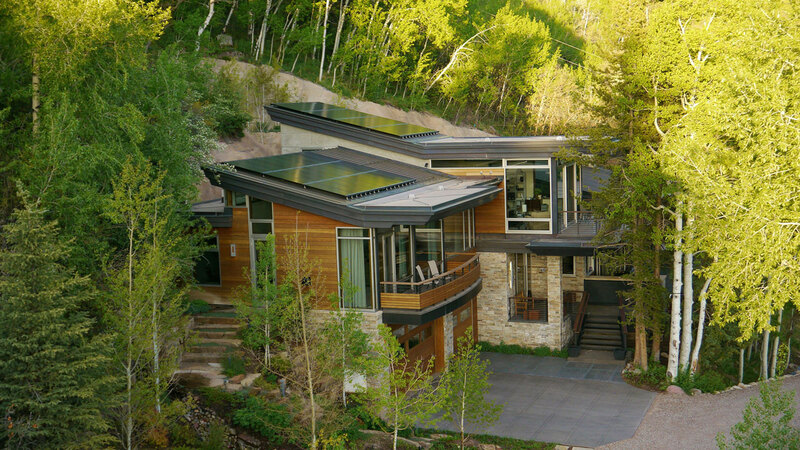 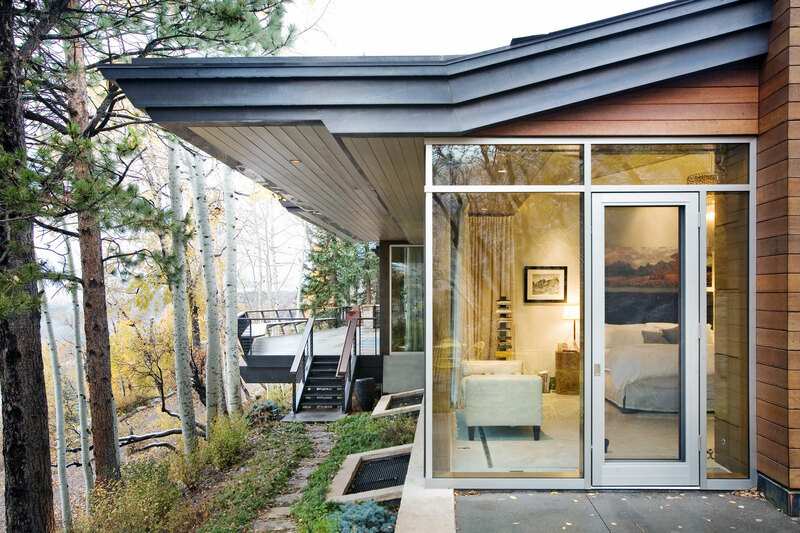 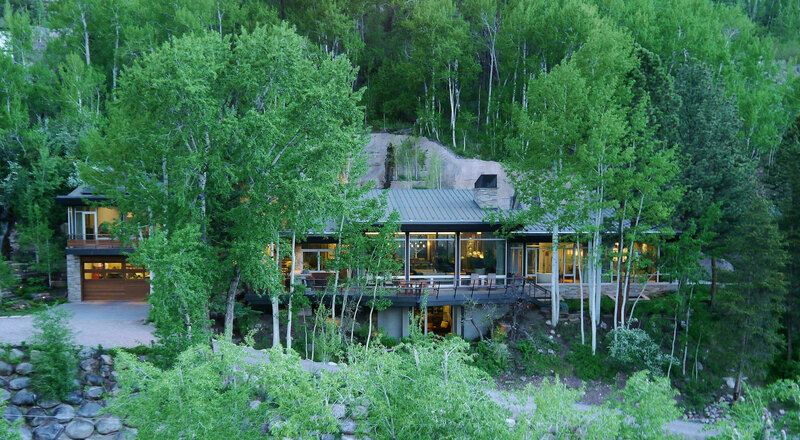 Recently featured in Aspen Sojourner Magazine, this 10,000 square foot residence on Red Mountain is nestled into the mountainside and opens to views in all directions. 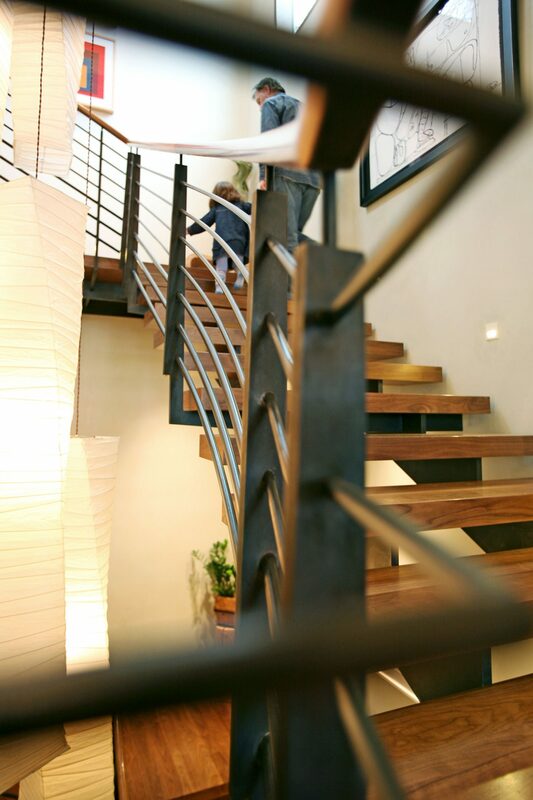 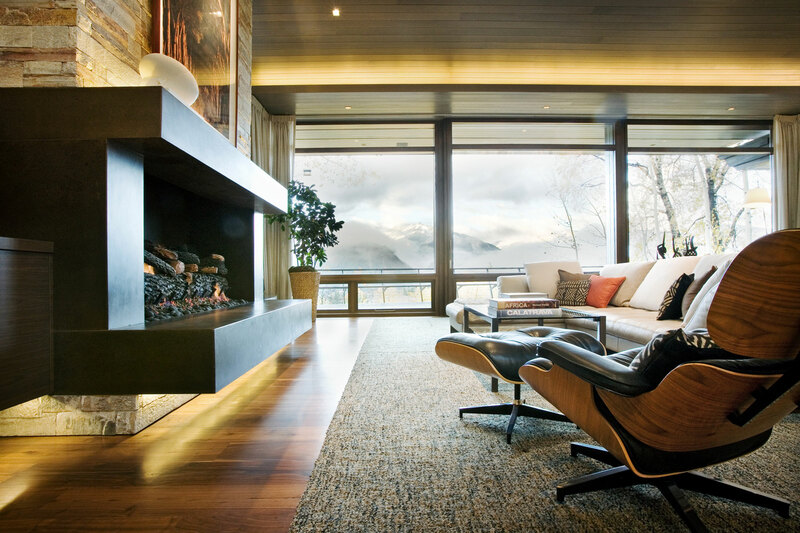 Warm yet contemporary materials create a nurturing home for the family. 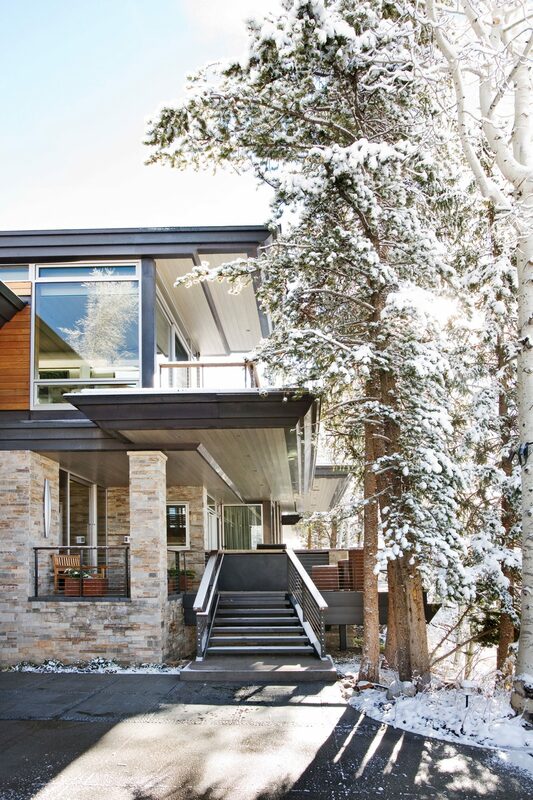 Carefully placed windows allows for ample natural light, while the open layout with doors opening completely to the outdoor waterfall and decks, provide spacious entertaining spaces.